With a state-of-the-art manufacturing facility located in Užice, Serbia, Prvi Partizan is one of the largest modern ammunition companies in the world. Best known for supplying ammo for Serbian military and police forces, Prvi Partizan also produces quality sporting and hunting loads for the modern civilian shooter. 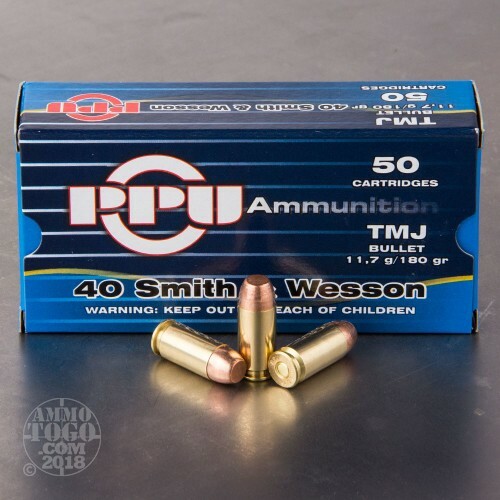 This package contains 50 rounds of Prvi Partizan .40 Smith & Wesson ammunition. 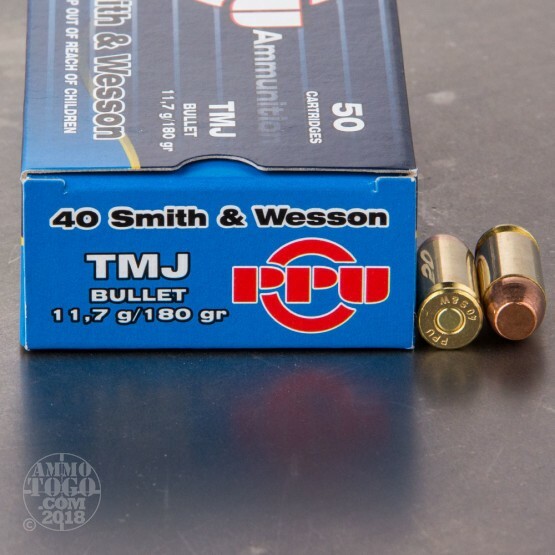 Each cartridge is loaded with a 180 grain total metal jacket (TMJ) projectile. 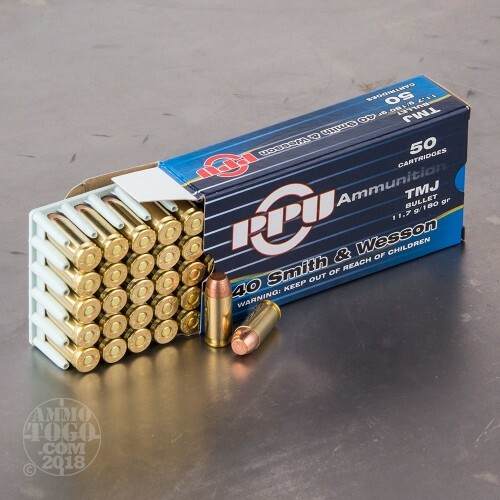 Fully covered in a copper jacket, these projectiles are perfect for indoor range training, effectively reducing the amount of lead contaminants in the air. 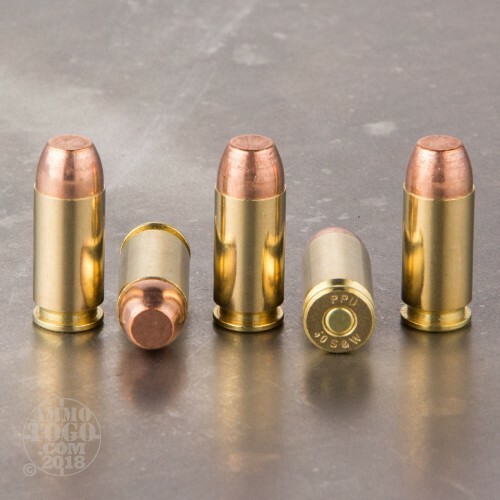 Each of these new production rounds produces a consistent muzzle velocity of 935 feet per second and a muzzle energy of 350 foot pounds. It is brass cased, boxer primed, and 100 percent non-corrosive.